Relaxing by your inground pool is an act of luxury. But what you may now know is that your pool can also add value to your home, provided it is maintained properly throughout the years. 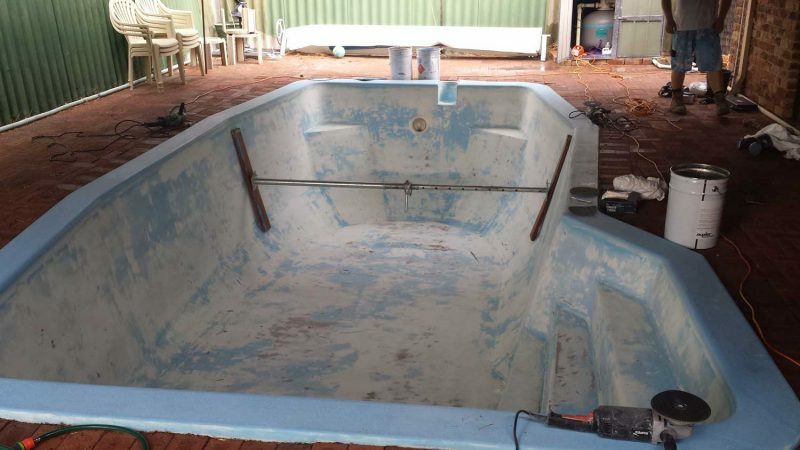 Here’s everything you need to know about renovating your fibreglass pool. Pool renovation or pool resurfacing is a cost effective way of repairing a number of issues with your pool’s shell. A very economical method compared to the price of new pool shell. 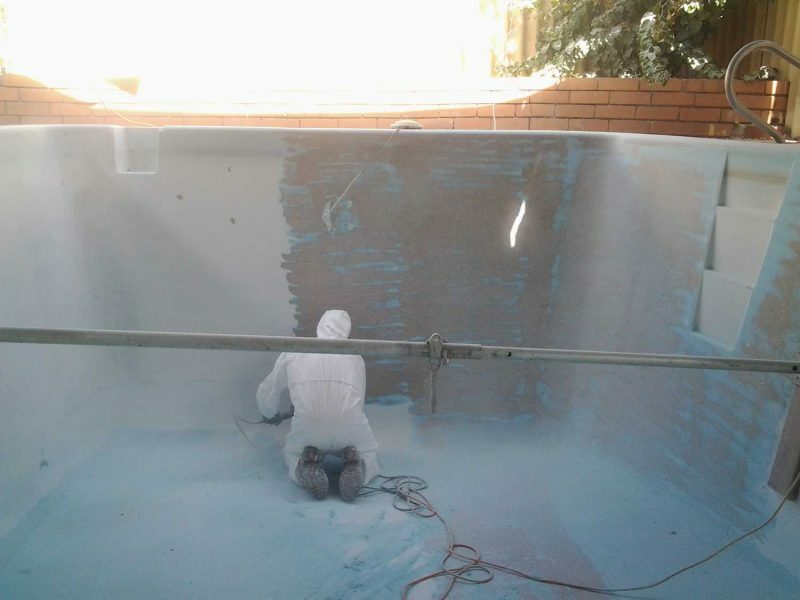 During a pool renovation black spots, osmosis bubbles, chips and cracks are repaired. 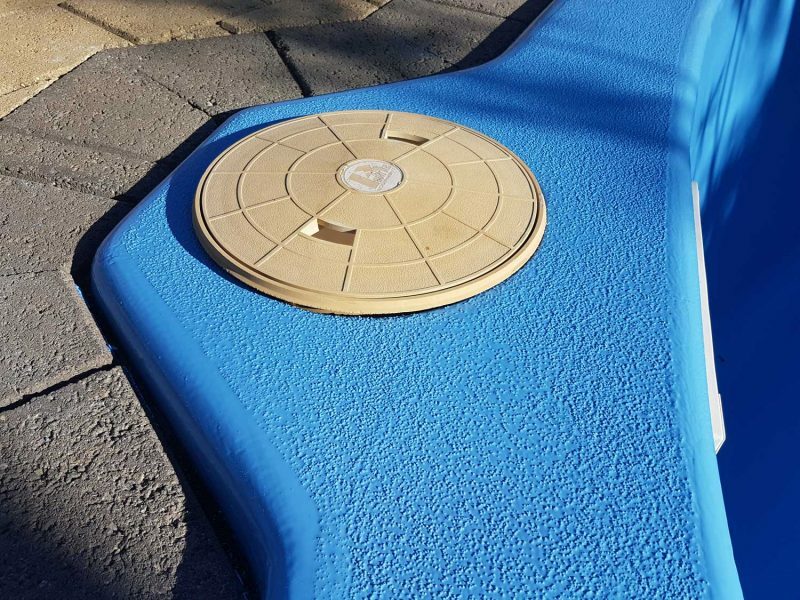 Then a new surface is applied to your existing shell followed by a number pool safe gel coat layers, leaving you with a new, strong and vibrant pool that will transform your outdoor area. 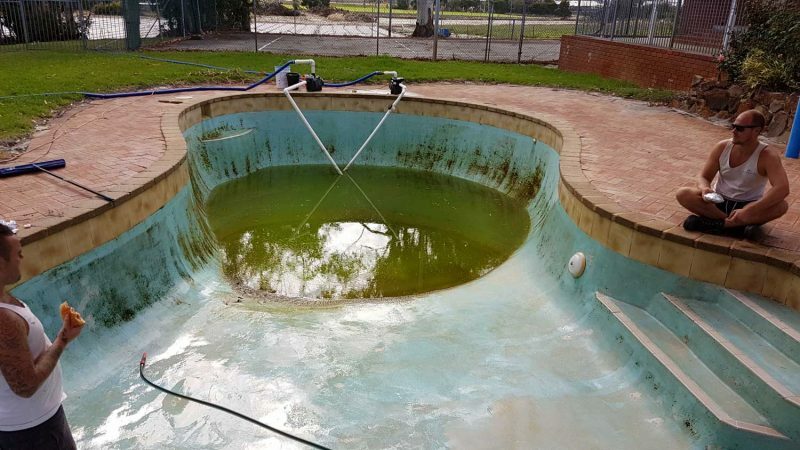 How often should my pool be resurfaced? 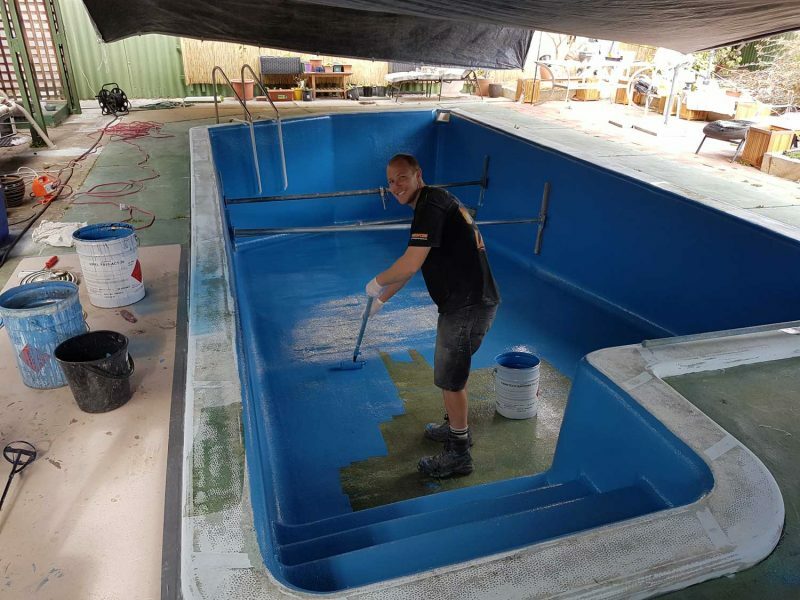 Resurfacing a fibreglass pool is recommended every 15 to 30 years, however this can vary depending on the condition of your pool. 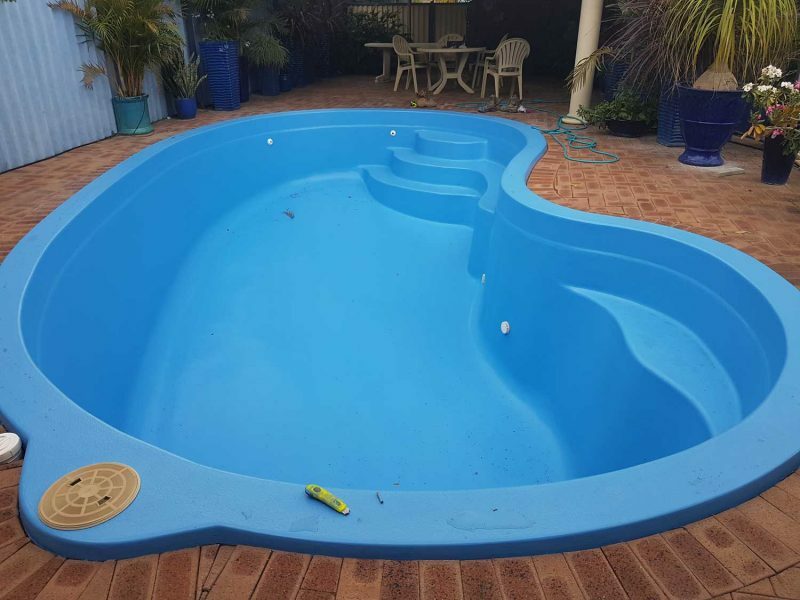 How do I know if my fibreglass pool needs resurfacing? Place the palm of your hand beneath the water line and flat against the pool wall. Slowly and firmly move your hand across the surface to see if the gel coat turns milky/cloudy when wiped. A failed gel coat will require a resurface. Your chemicals will be harder to balance and the cloudy gel coat is not good for your health. 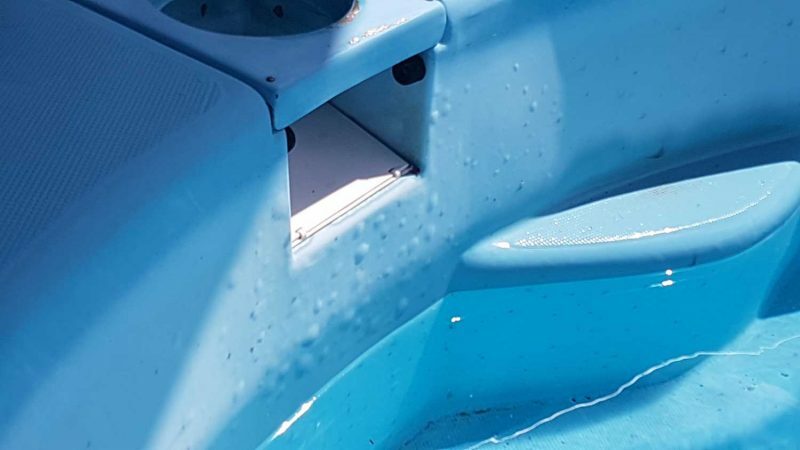 The condition of your gel coat surface is also very important, especially as this is the key chemical barrier between your pool water and the structure of your shell. Take a good look at the surface of your pool beneath the water. You may not have noticed before, but there may be a number of small – large osmosis bubbles. Although these bubbles are not harmful to your health, they will only get bigger in size and numbers if ignored. Over time, osmosis bubbles will effect the integrity of your pool structure and cause small leaks. Small and large black spots on your pool’s surface is a key indicator that your pool will need to be resurfaced. These black spots can vary from a small pin head to a large opening in the gel coat with dark fading lines. Unfortunately you cannot get rid of black spots without a professional resurface. Chemicals and epoxy paints will only mask the problem for a short time. 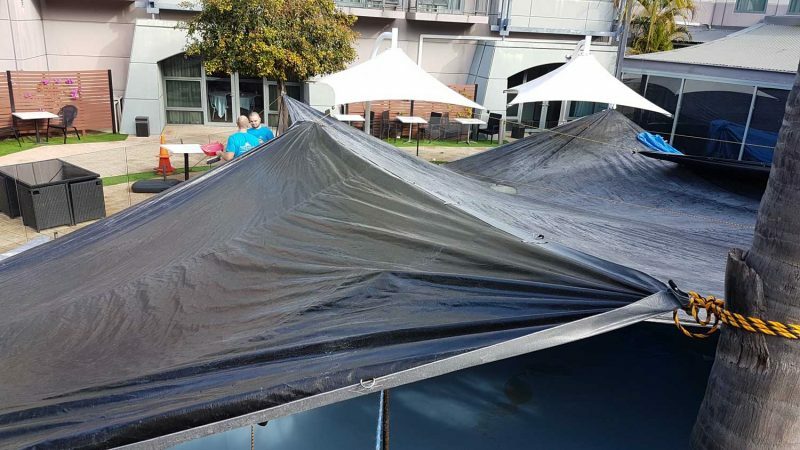 Once fixed, a new strong fibreglass layer is needed to keep the black spots from returning. 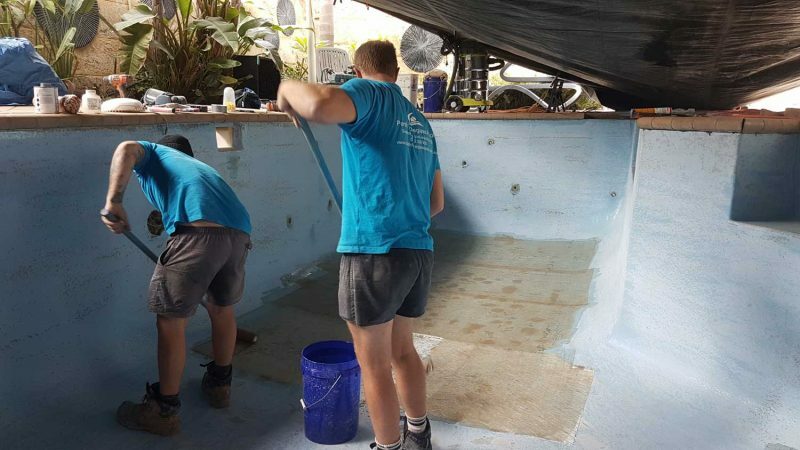 The team will install adjustable acrow props to your fibreglass pool to brace the pool walls. There is a risk of the walls moving when the pool water is taken away. Sometimes we will keep the braces in the pool throughout the job if we suspect any further movement. Osmosis bubbles are singled out during the grind and individually repaired. The outer layer of the bubble is ground off and the inner part is dug out with a smaller tool. We make sure that the bubble is completely dry before we apply our vinyl ester putty. Osmosis bubbles can range from the size of 5 cent piece to the size of a dinner plate and between 0-500 per pool. The black spots are ground back to the source. The damaged fibreglass is removed and treated with a high quality vinyl ester resin. The gel coat is removed with heavy duty grinders. During the process we identify osmosis bubbles and take away black spots. Our fully trained team wear correct PPE and full face respirators during the grinding process. The dust is contained, cleaned and removed from site. Typically a 40’000 liter pool can be fully ground in 2-5hrs depending on the condition of the gel coat and the amount of osmosis bubbles.